Clearly Thermoset Plastic Elastomer is not rubber but it exhibits rubber like characteristics and therefore is often considered as an alternative to rubber. 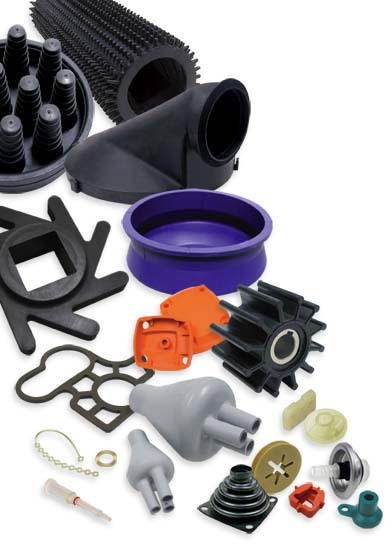 Thermoset rubber is used for its exceptional durability. Consider where the application is for a very flexible product that has heat and chemical resistance ‘Thermoset Rubber’ is the only sensible choose. Combined with its tear resistance it is often found in the most hostile of places, such as underwater pumps, portable power tools and equipment and sheathing for outdoor electric cables. Resitance to high and cold tempertures – it will remain flexible in the extremes of temperature. UV Resistance – Thermoset Rubber decomposes at a very slow rate when exposed to sunlight. The down side to this is that it does not biodegrade very easily and can take tens of years to degrade. So care must be taken when disposing of the product, its very similar to automobile tyres and should be recycled in the same way. Addictives and colours can be added to Thermoset Rubber, especially charcoal black which Thermo Plastic Elastomers can not accept.